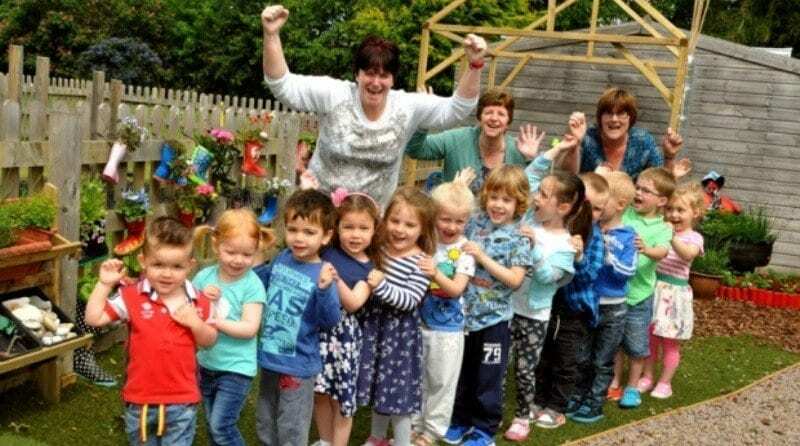 Wygate Foundation Nursery School is celebrating after receiving an “outstanding” in their latest Ofsted inspection, in which they were praised for creating an inspirational setting for learning. The school welcomes 32 pupils in the nursery and 16 in the playgroup. It also runs an breakfast and after school club. Anne was particularly proud of the setting being described as “inspirational”. The report stated the setting was an “inspirational setting that is extremely well led and managed by a qualified teacher, who has exceptional understanding of her role and responsibilities across all requirements of the Early Years Foundation Stage”. Staff demonstrate an exceptional understanding of how children develop and learn. They show clear passion and dedication for their work. Children are enthusiastic and active learners. They delight in the wealth of exciting learning opportunities. Staff care extremely well for children with special education needs. Excellent relationships with parents support a shared approach to children’s learning. Leadership and management are inspirational.